Swedish vlogger PewDiePie has received an unexpected boost from Pornhub in his battle for YouTube’s most subscribed channel against T-Series, one of India’s biggest record labels and movie studios. In a new not safe for work video, adult performer Indigo White has been encouraging her viewers to take a moment from what they are doing and subscribe to PewDiePie’s YouTube channel. In December, Pornhub announced its support for the Swedish YouTube star, calling on its followers to subscribe to his channel. 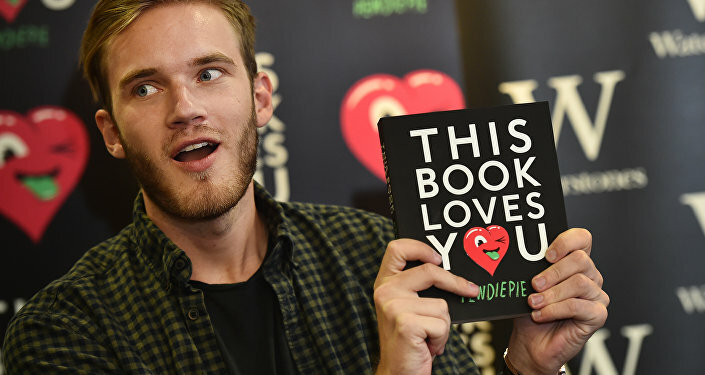 Apart from X-rated websites, PewDiePie has garnered much support from internet personalities and digital influencers who have been campaigning for him in his battle against Indian production company T-Series. During the Super Bowl weekend, YouTuber Mr Beast showed up with a friend at the big game to promote Pewds, donning T-shirts that read “Sub 2 PewDiePie”. As part of the crazy stunt, Mr Beast bought five seats right behind the field goal so that TV cameras could spot the message. PewDiePie has been involved in a 10-month-long battle with T-Series for the status as the most subscribed YouTube channel. Pewds has had the most subscribed channel since 2013, while T-Series saw a massive surge in its follower base last year due to India’s emerging online population. Currently, PewDiePie has 84,646,560 subscribers, while T-Series is slightly lagging behind with its 84,595,814 followers.